So, you found SearchIndexer.exe running on your computer, consuming precious resources like memory and CPU and you want to know what it is. Is it a virus? Some sort of malware? Well, you’ve come to the right place! Below we’ll take a look at why the process is here and what you can do with it. Provides content indexing, property caching, an search results for files, e-mail, and other content. In other words, it indexes a good portion of the files on your computer so that they will quickly show up in searches done from the Start Menu or Explorer Windows Search. This process was created by Microsoft and comes standard with all versions of Windows. How Does SearchIndexer Affect My System’s Performance? The answer to this will vary depending on what version of Windows you are running. In Windows XP it was a real system hog, but Microsoft revamped and improved it in Vista and more so for Windows 7. 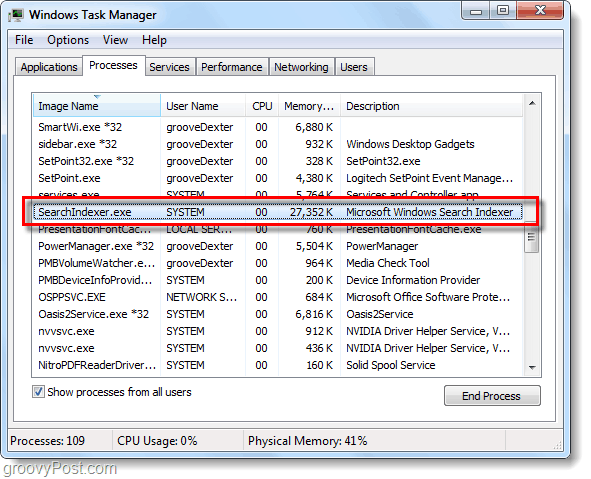 As it present on Windows 7 Home 64-bit, it doesn’t use enough resources to shake a stick at –you shouldn’t even be able to notice that it is running. This is specifically true because the process is designed to run at 100% only when your computer is idle. SearchIndexer is a safe component of Windows, so there isn’t a need to get rid of it. However, if you find that on your particular system that it is too much of a resource hog, it smells bad, or for whatever reason –you can disable it! 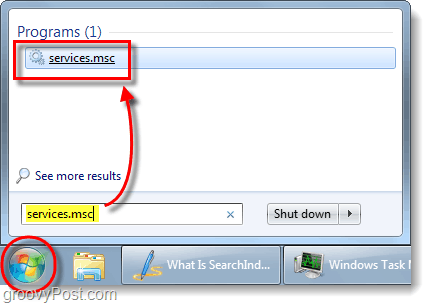 Click the Windows Start Menu Orb and Type services.msc into the box, Press Enter. The services snap-in should appear. 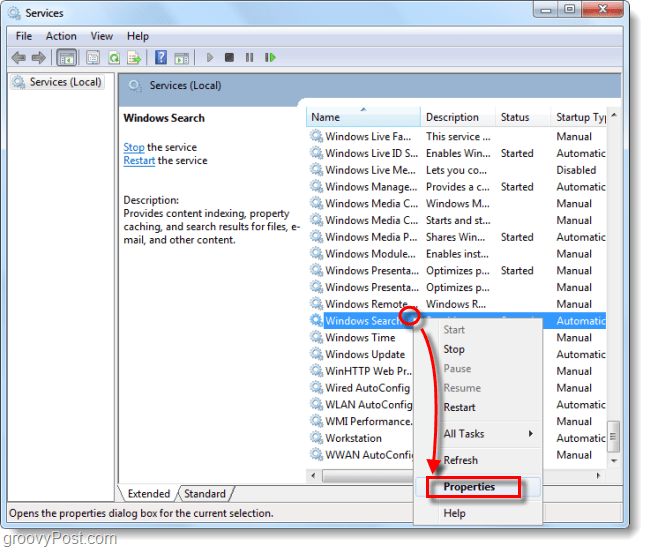 Right-Click Windows Search and Select Properties. Tip: Press W on your keyboard to instantly Scroll-Down to the correct part of the list. 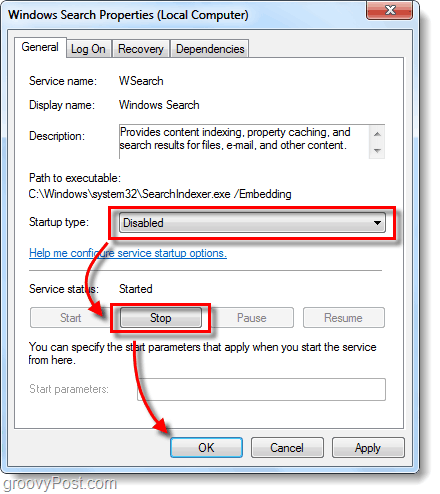 Under the general tab of Windows Search Properties, Set Startup type to Disabled and then Click the Stop button to kill the process. Click OK to save changes and exit. If you ever want to re-enable SearchIndexer, just go back in and set the Startup type to Automatic (Delayed Start). SearchIndexer.exe is a basic windows process created by Microsoft that handles internal search queries that you might enter. You can disable it, but it really isn’t necessary unless it is proving problematic on your system. Stadium and Cross Maidan. Ciekawym rozwi¹zaniem jest fakt, ¿e mieszarka potrafi zamieniaæ kolejnoœci¹ akapity. Thankyou Thankyou Thankyou. I have windows XP, this stupid program slowed down to a crawl, that’s when it didn’t lock it up altogether. every few minutes i was having to control alt delete and ending the program, which would keep restarting. I calculated that more than half my day was wasted due to theis useless program. P.S. holy cow… computer now running at lightning speed… anyone with XP should disable this useless, and qnnoying program ..
On a Win7 pc, the problem is often more from the SearchFilterHost.exe process that may tie up up to 25% CPU on my gen3 core i5 (quad core), 6GB laptop. My solution is to select the Drive C and disable the “content index” option (the bottom box) in the Property pane to make it drop down to 0%. 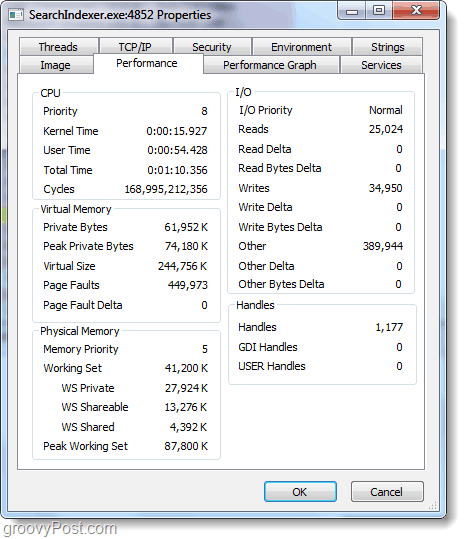 By the way, I did notice that the SearchIndexer.exe takes up up to 4% of the CPU from time to time. Best Copy Paste Information Ever … Kudos for such a great talent…. Source – Howtogeek. Thank you, thank you, thank you. All day I have been messing with this problem only at 11pm to find your solution. It was simple. It worked and continues to work!!! Very helpful for me. Sometime this service eat 20 – 22% of my cpu! (Lenovo T410 and Windows 7 professional). thank you very much!